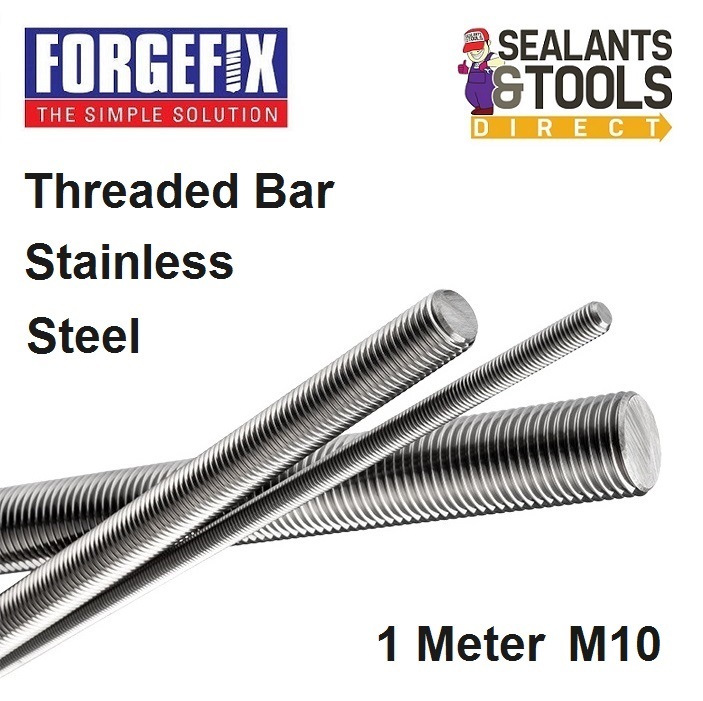 These M10 Forgefix Threaded Rods are made of A2 stainless steel, which will not corrode, rust or stain from water. This makes them ideally suited for corrosive and coastal applications as well as many other varied applications. They can be used with many other products including Drop in Anchors and Masonry Anchor Shields, and provide a cost effective fastening and Hanging applications. A2 Type 304 Stainless Steel can also be called 18/8 because it contains approximately 18% Chromium and 8% Nickel. It is austenitic steel and is non-magnetic. The chromium provides a corrosion and oxidation resistance, although it may tarnish. It is immune to foodstuffs, sterilising solutions, most organic chemicals and dyestuffs and also a wide variety of inorganic chemicals. As such, it is used extensively for many types of fixings and fasteners used in sanitary or hygiene applications.